Statistica Neerlandica now has its very own (iOS) app, available to download today from the App Store. Enjoy an entirely new browsing and reading experience, and keep up to date with the most important developments in statistics faster than ever before. 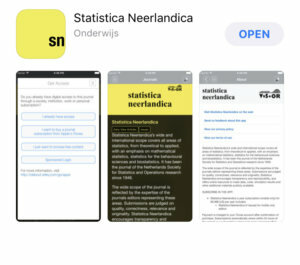 The app is free to download and offers full access to subscribers of Statistica Neerlandica, both personal and institutional.